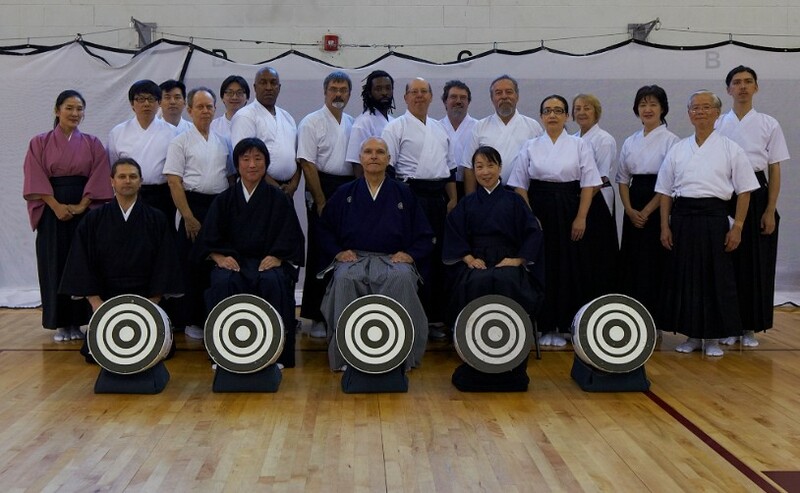 The 2015 Joint Seminar with the Virginia Kyudo Renmei was the first expanded into 2-day seminar. It was held on Saturday, October 10th and Sunday October 11th at the Jersey City Education & Recreation Center (CERC). Many members had come to the joint practice from both Virginia dojo as well as our local New York/New Jersey dojo. The first day started with the opening ceremony lead by Bill Reid Sensei, and reciting the Raiki Shagi and Shaho Kun. Shortly after we started practicing with a guidance of Bill Reid sensei. After lunch brake the practice continued lead by Endo Tomoya sensei, after which sensei gave us a lecture about the kyudo equipment. Second day started with reciting the Raiki Shagi and Shaho Kun. Then practice was lead by Fumiko Takada sensei. After a short lunch brake we started the preparation for taikai. The day was concluded with the awards and closing ceremony. NY/NJ would like to express sincere gratitude to all the teacher as well as all participants. We hope to see you all next year.